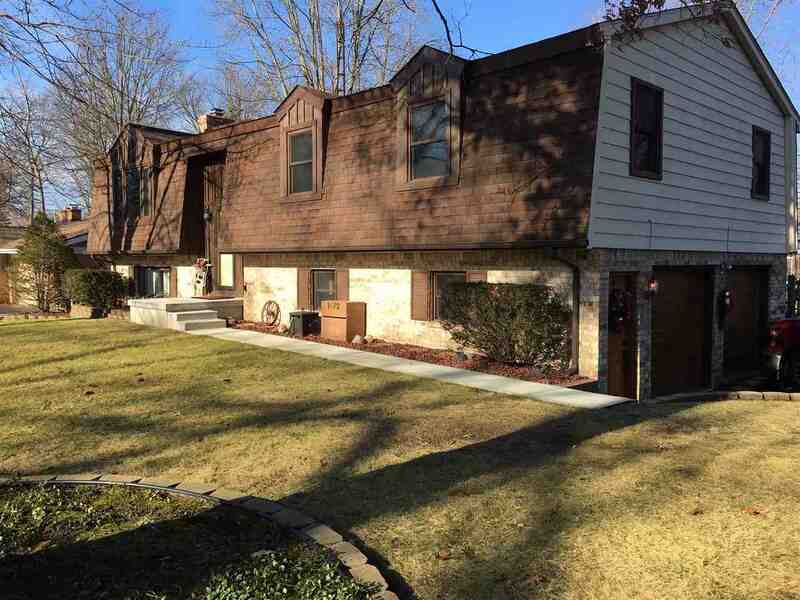 Nicely landscaped, well cared for- 3, possible( 4-bedroom unfinished,)home with fireplace. Updated kitchen with hard surface counters and 1 year old black-stainless appliance package. Also has new garbage disposal. Two full, and 1 half bath, updated with ceramic/vinyl plank flooring â they also have hard surface counters. New carpet in Living room, formal dining room, hallways and lower level. Roof and gutters are 2 years old also new sump-pump with battery back-up. New energy-efficient GFA furnace/ CA. Generac whole house generator 1 year old with transferable warranty. 2 Â½ car attached garage with beautiful garage and entry doors- 2 years old. New asphalt driveway, concrete sidewalk and front-porch. Large deck 15 x 20 and patio paver area 10 x 18. Large corner lot, fenced-in back yard with 12 X 16 storage shed. Home is freshly painted with new lighting fixtures, ceiling fans, and window treatments. Move-in condition- must see to appreciate.